On January 1, 2014, North Carolina’s “new” limited liability company act went into effect, replacing NCGS §57C with NCGS §57D. Despite the fact that the new LLC Act has been in force for almost two years now, we do not yet have appellate case law expressly interpreting or applying the new LLC Act. The deliberate pace of the judicial process results in a lag of several years between initiation of litigation and a published opinion in the NC Court of Appeals. The result is twofold: 1. We can look forward in 2016 and 2017 to published opinions of the NC Court of Appeals and the NC Supreme Court directly addressing the new LLC Act; and, 2. In the meantime, we can look to 2014 and 2015 published opinions where the courts address situations governed by the old LLC statute, but in the shadow of the now-enacted-but-not-yet-applicable new LLC statute. These cases provide some interesting early indications of the awareness of the courts of the new statute, previews of potential legal issues to come, and insight into how the courts are already using the new statute to inform their opinions in cases in which they are still applying the old statute. 1. Economic Interests and Charging Orders – One of the major changes in the new LLC statute was regarding the definition, creation and treatment of “economic interests” in NC LLCs, i.e. interests in income from the LLC separate from the ownership interest of participating in the operation of the LLC as a member. In First Bank v. S&R Grandview, LLC, et al., 755 S.E.2d 393 (NC App 2014), the NC Court of Appeals cited the new LLC statute to reject a bank’s argument that imposition of a charging order upon its debtor’s LLC membership interest effectuated an assignment of defendant’s LLC membership interest to the bank, that the bank would thereafter have the rights of an assignee of defendant’s membership interest, and that defendant was enjoined from exercising any membership rights in the LLC and that the debtor’s membership rights in the LLC would “lie fallow” until the bank’s judgment was satisfied. 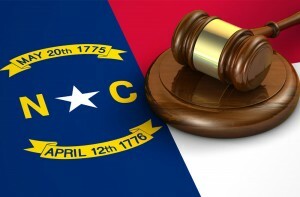 The Court of Appeals showed that it is well aware of the new LLC statute and its enhanced treatment of “economic interests” in NC limited liability companies and the implications for charging orders in North Carolina, and will go out of its way to show itself to be applying the old statute in a way that is consistent with the new statute, even in situations in which the new statute admittedly does not apply. Look for future further judicial interpretation of “economic interests” and the rights of “economic interest owners” in case opinions to come under the new LLC statute. 2. Implied Contractual Covenant of Good Faith and Fair Dealing – Another significant change in the 2014 NC LLC statute was to underscore the parties’ freedom of contract in the drafting of an LLC operating agreement, i.e. providing that the parties are free to do just about anything in an operating agreement with the exception of contravening certain other specified provisions of the statute or contravening the implied contractual covenant of good faith and fair dealing. As a result of this renewed emphasis on basic contract law within LLCs this ancient common law “implied contractual covenant of good faith and fair dealing” is experiencing a revival as one of the few potential grounds on which to attack an LLC’s operating agreement provisions and their application. In Pro-Tech Energy Solutions, LLC v. Cooper, et al., (NC Business Court, 7/30/15, Mecklenburg County), the NC Business Court denied a motion for summary judgment on a claim of a breach of the implied covenant of good faith and fair dealing in the drafting of an LLC’s operating agreement as being one rife with issues of fact that require adjudication. The upshot of this change in the statute is that there will be more claims of the breach of the implied contractual covenant of good faith and fair dealing in connection with litigation involving NC LLC operating agreements, and Pro-Tech may be seen as the very beginning of this trend. Poulos v. Poulos represents the current fault line at the interface between business law and domestic law in North Carolina. 3. Fiduciary Duties – The new LLC statute’s emphasis on freedom of contract plays itself out in granting LLC members more flexibility and freedom to reduce in an LLC’s operating agreement the fiduciary duties owed by LLC’s members and managers. In Poulos v. Poulos, (NC Business Court, 6/2/15, Cumberland County), the North Carolina Business Court refused to recognize a fiduciary duty owed by one 50% owner of an LLC to the other in their capacities as members of the LLC, but did recognize in that case that where the owners were husband and wife there could be a common law fiduciary duty between spouses at play within the operation of the LLC. Poulos represents the current fault line at the interface between business law and domestic law in North Carolina. Husbands and wives frequently are members of LLCs together, and frequently 50/50 members of those LLCs. 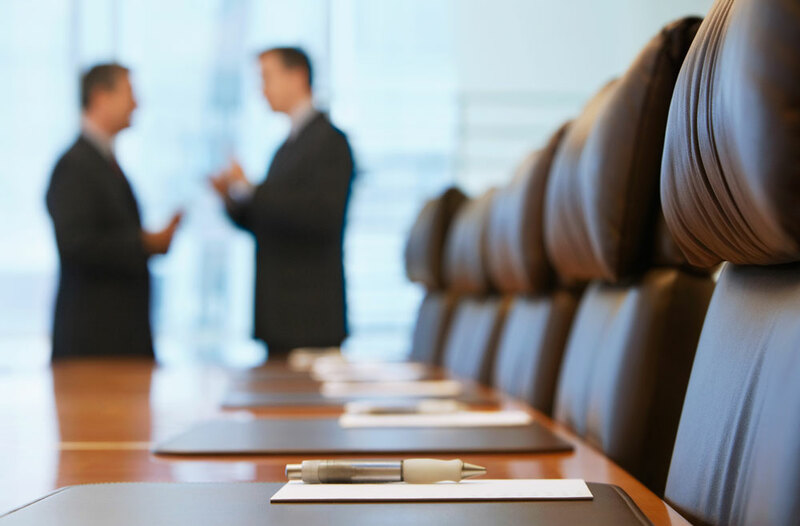 The new NC LLC statute allows operating agreements largely to eliminate fiduciary duties within LLCs, which will be a hot topic and raise several questions for the NC courts in the next few years. What would have been the outcome in Poulos if the LLC in question had an operating agreement purporting to eliminate the common law fiduciary duties between husband and wife? Stay tuned. That will be the next case under the new LLC statute.